I recently had to help my mother with her personal care and it went way further than I had anticipated. This particular type of personal care isn’t anything different than I do often for her. However, this time it was a lot more involved and it just felt so violating. Sometimes I feel like she doesn’t have any dignity left. I try really hard to make sure that she does, but sometimes you just can’t help it. This particular incident got me to thinking about my dad and wishing for the good old days. When everyone was healthy, young, vibrant and caring for themselves. It makes me so sad. I miss him so much. If he was here, mom wouldn’t be like she is and I wouldn’t feel the way I do. It’s things like this that make this whole situation difficult. It also got me to thinking about the Lord and how he is with us when we are our worst. When we have no dignity left. When we are in the deepest sinful pit, but yet he’s with us. I love my mom and I would do anything for her. God loves me and he would do anything for me as well. 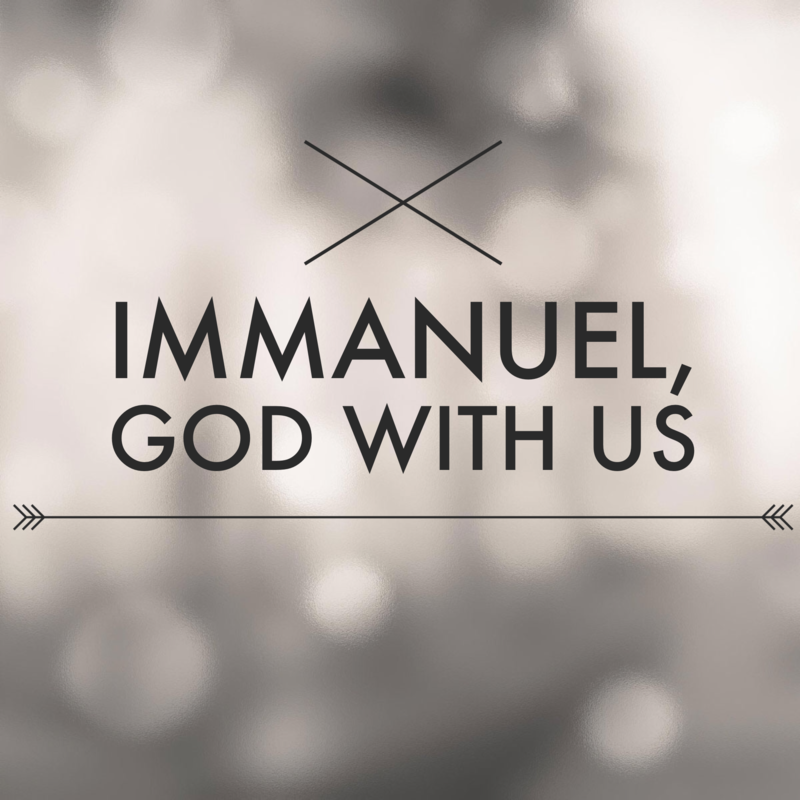 Immanuel, God with us. I’ve heard that phrase a dozen times or more, but have never really given it much thought until the last month or so. Over Christmas, the birth of the Christ, Immanuel, God with us. For some reason, it has touched me deeply this time. This time I heard the phrase, it really meant something to me. I want God with me. I love knowing that HIS name means He is with me. So do not fear, for I am with you; do not be dismayed, for I am your God. I will strengthen you and help you; I will uphold youwith my righteous right hand. The trick is to remember that God is with us in the pit. In the muck of life. When we loose a loved one. When we have a devastating diagnosis. When we loose a job or our finances do not equal out each month. It’s hard to live in the red. We feel as though God is not with us or even for us. The Word says that He is with us and He is for us. If we are going to feel the presence of the Lord then we’ve got to believe what the Word says about Him. I choose to believe. I choose to have Hope, Joy, Peace and Faith. I want to encourage you my friend. Please remember that Lord is with you. He is for you. He will hold you up with His righteous right hand. How is it that we can remember He is with us and He is for us? Try writing these scriptures on note card and begin to memorize them. Pin them up on your mirror or fridge so you can see them each day. Carry them in your wallet or make them a picture you put as your home screen on your phone. To make the images I use for my blog, I use an app called WordSwag. It works great for this type of thing. Let me know how this works out for you in the comment section at the bottom of this page. .
Next PostNext No! I’m Not Gonna! Aging Parents..